Microsoft Exchange Server is a commonly found email server and is considered a business-critical application by many organizations. Virtualized instances of Exchange Server can be successfully deployed using VMware vSphere 5.5 and it has been shown that Exchange Server performs well in a virtualized environment with shared SAN storage. With the release of VMware Virtual SAN, the next logical step is to study the performance of Exchange Server on this storage platform. 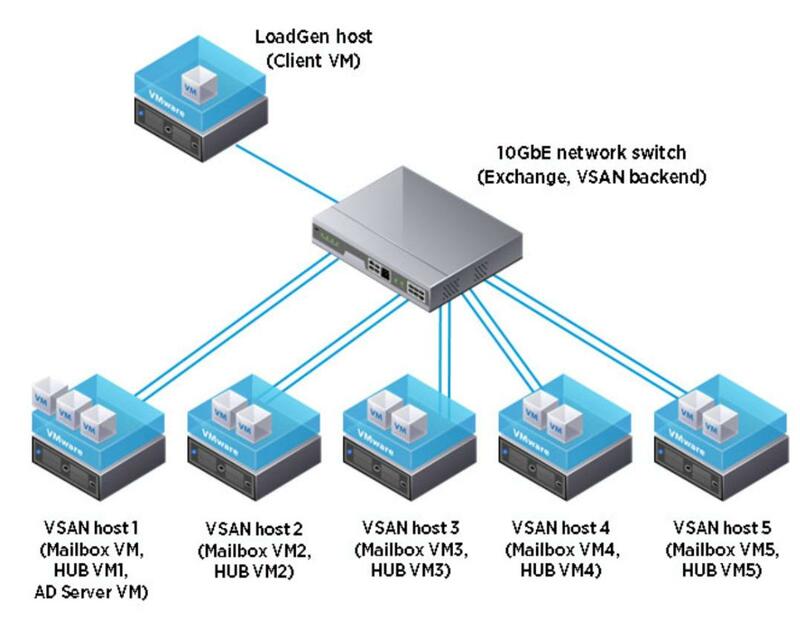 This white paper shows that virtualized Exchange Server 2010 on vSphere 5.5 with VMware Virtual SAN scales well while maintaining very good application response time as more Exchange users are added along with more Virtual SAN hosts. This scale-out approach of supporting more Exchange users by adding more Virtual SAN hosts as needed is a very cost-effective way to accommodate growing email users without compromising performance.